Next TEKCamp set for 7-10 Sept 2020 - BOOK NOW to secure your place! Keep up with the latest developments - follow us on Facebook! Is TEKCamp right for me? What can I do at TEKCamp? TEKCamp - All the facts! What ticket is best for me? In June 2018, the world held its breath as a team of elite cave divers from across the world flew in to Thailand to locate an extract members of a junior soccer team trapped deep underground by rising water in the Tham Luang Nang Non cave in Thailand's Chiang Rai province. On the 23rd June, the young soccer players - some aged little more than 11 years old - and their 25 year old coach entered the cave. Little did they know that shortly after starting their adventure, heavy rain would descend on the area causing the group to become trapped inside. With water levels continuing to rise, no contact was made with the group for over a week before the Thai authorities put the call out for specialist help. Answering the call were acclaimed cave divers John Volanthen, Rick Stanton, Chris Jewell, Richard Harris and Jason Mallinson - members of an elite team of divers flown in to aid in the rescue attempt. Want to know what really happened and what went through the minds of the rescues? Discover the real story behind the Thai cave rescue drama at TEKCamp 2018. 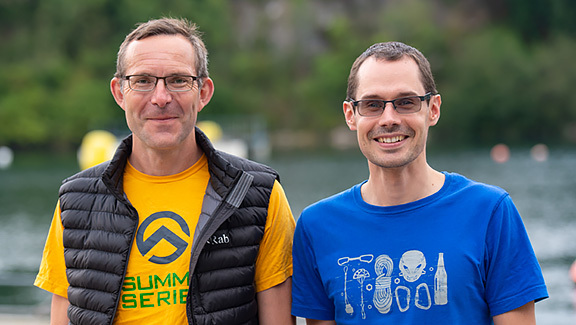 We're very proud to be joined by two members of the Thai cave rescue team - John Volanthen and Chris Jewell. John and Chris will deliver a first-hand account of their experiences, shedding light on what really happened during what many have called 'the greatest rescue in history'. For over 20 years, John Volanthen has been at the very cutting edge of dry and flooded cave exploration worldwide. John has been involved in exploring and mapping caves throughout the world, including the UK, Europe and Malaysia, often with dive partner Rick Stanton. 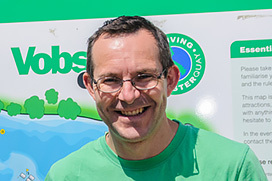 John jointly holds the British cave diving depth record (Wookey Hole) and was also a leading member of the team that holds the World record for the longest cave diving penetration - 5.5 miles underwater. 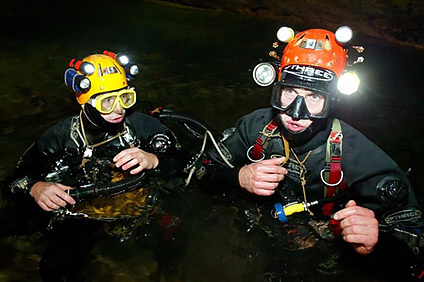 When a team of young soccer players and their coach found themselves lost inside a flooded cave in Thailand, John was one of a team of highly-skilled divers flown in to locate and rescue them. 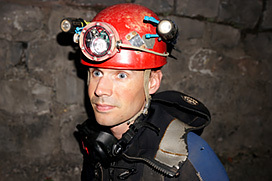 Chris Jewell is an exploratory caver and cave diver who explores new cave passage in the UK and abroad. He dives in a wide range of caves using everything from small cylinders in zero visibility conditions to diving chest mounted rebreathers at 100m plus. 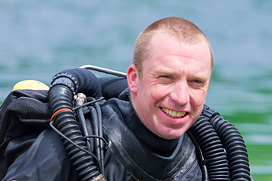 Over the last 12 years Chris Jewell's exploration has seen him squeezing through tiny muddy underwater holes in Somerset, digging underwater in the Yorkshire Dales, developing several various sized rebreathers and leading cave diving expeditions to Spain and Mexico. In June of 2018, he was one of the elite British cave divers who played a leading role in the Thailand cave rescue. HMS Vanguard was a St Vincent class battleship commissioned in 1910 that saw action at the Battle of Jutland - one of the most decisive and historic sea battles of the First World War. On the night of 9th July 1917, she blew up at anchor with the loss of 843 crew. Today Vanguard is a designated War Grave. 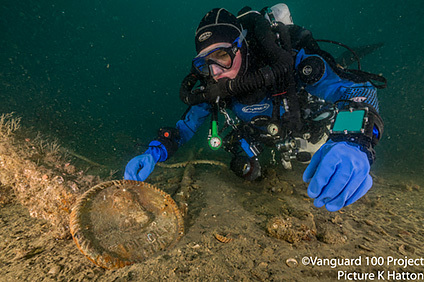 In the autumn of 2016, a permit was granted for a volunteer dive team to survey the site of HMS Vanguard at her resting place in Scapa Flow. Kieran Hatton was lucky enough to be part of this team. The survey took place over the winter of 2016/17. Over 20 different divers pooled together to share different skills - photography, photogrammetry, videography, even explosives experts. 400 hours in water time culminated in the most extensive survey of the wreck site to date with an extensive visual catalogue which provides a snap shot of the wreck today and offers a baseline for any future surveys conducted. Join Kieran on a visual journey through the history of HMS Vanguard, past and present as we piece together this once great leviathan. Kieran Hatton is an active CCR trimix instructor with a passion for wreck diving and battleships in particular. 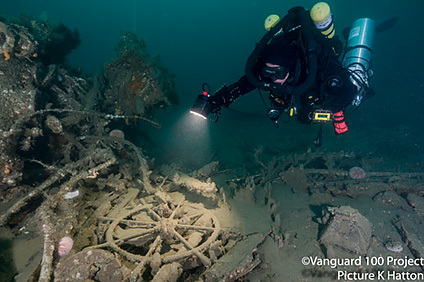 20 years on from his first visit to Scapa Flow where diving the famous WW1 German Fleet ignited a passion, Kieran leapt at the chance to join the team surveying Vanguard. When not teaching, Kieran can often be found camera in hand exploring wrecks around the world. He's is actively involved in projects in Scapa Flow, the North Sea and the English Channel. He also leads regular trips to Malin Head, Finland, Truk Lagoon and soon the Solomons. When not diving he may well be talking about diving shipwrecks... be warned! TEKCamp is an award-winning four-day coaching program designed to develop your diving skills, knowledge and confidence beyond recognition under the direct guidance of the industry's leading technical instructors. 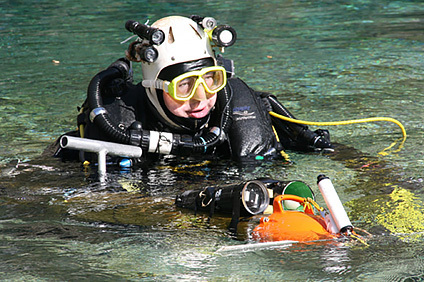 Run once every two years at Vobster Quay in Somerset, TEKCamp will transform your diving - your skills will be sharper, your confidence will sky-rocket and you'll be a far safer and more competent diver!